Tomatoes and XP max cap cannot be seen. As I wrote. If you tap on the current, only the current amount will be shown, the cap not. GJ. @R03 Can you attach screenshots also? This is interesting, as e.g. for me (and others) the cap is shown for both XP and supplies. We'll investigate. Then my I play with your phone until its fixed? Well, I am using e.g. filtering without phase shift with the help of phase locked loop control, PID control algorithms during my daily work. Can you imagine how much I dont want to use my brain ccapacity to do _UNNECESSARY_ calculations? Thanks for understanding, if not grow some brain. @eetu I was really hoping this glitch was related to the bundle glitch where I can buy the fresh survivor again but without max tomatoes, and lost the ability to buy bruiser package with max tomatoes. I dont think so, unfortunately. We still have the cap, it is just not shown. A girl can dream. Waiting for staff to reply. Was not sure where to put this. I know there is no max capacity for trades goods but it no longer shows a max for xp or resources. Is there no max? 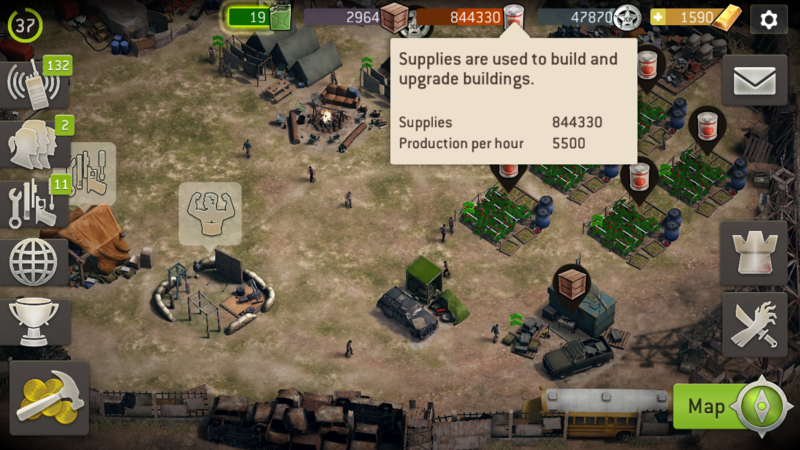 If so then what's the point on the supplies storage that we have upgraded. This is an error that shouldn't happen and NG is aware. I think it isn't showing because TG max value was changed so that there is no max cap for TG. 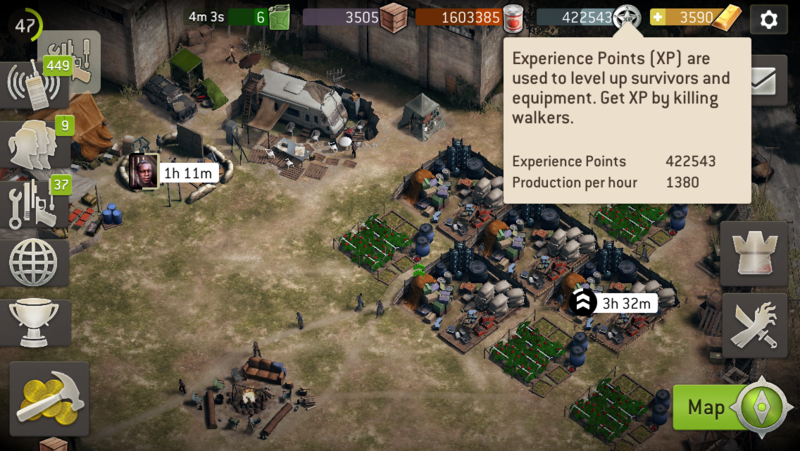 As for supplies and XP there are still max caps. 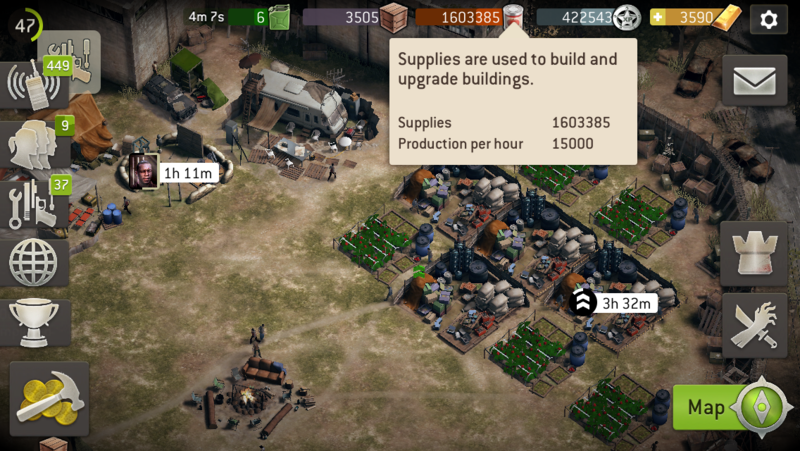 I am at max everything and I am sitting on 8961500 Supplies and can't gain more. Max XP I think is around 1.2M and is capped as well. I'm maxed out on everything too (level 49) and my caps are 8,961,500 for supplies and 1,000,000 for XP...not trying to contradict you but just wanted you to know my XP cap is different than what you stated...if I'm wrong please let me know but I've been at that cap since the last council update and have not been able to go over 1,000,000 on XP. I am now capped at almost 9 million supplies but not on XP which I continue to save to pay the 944,000 I need to make the final upgrade on my Legendary rifle. I could spend some of my supplies to upgrade my Outpost and walker pit but just don't care about raiding right now. Would rather spend those 9 million on an upgrade to my Council, Training grounds and Workshop so I can upgrade my key survivors to leveL 18.